Švyturys Ekstra – is a Dortmunder/European Export lager created by Džuljeta Armonienė, the chief brewer of Švyturys back in 1995. This was the first Lithuanian beer to earn the international recognition and be awarded the gold and the silver at the World Beer Cup and the gold at the Stockholm beer festival. Ekstra is a beer with a liquid golden colour that is topped by a thick, snowy-white foam. It is made from barley malt, rice, bitter and spicy hops, brewer’s yeast and fresh water. The beer has been widely acclaimed thanks to the intensity and lightness of its well-balanced taste, with just a slight tinge of the bitterness of hops. 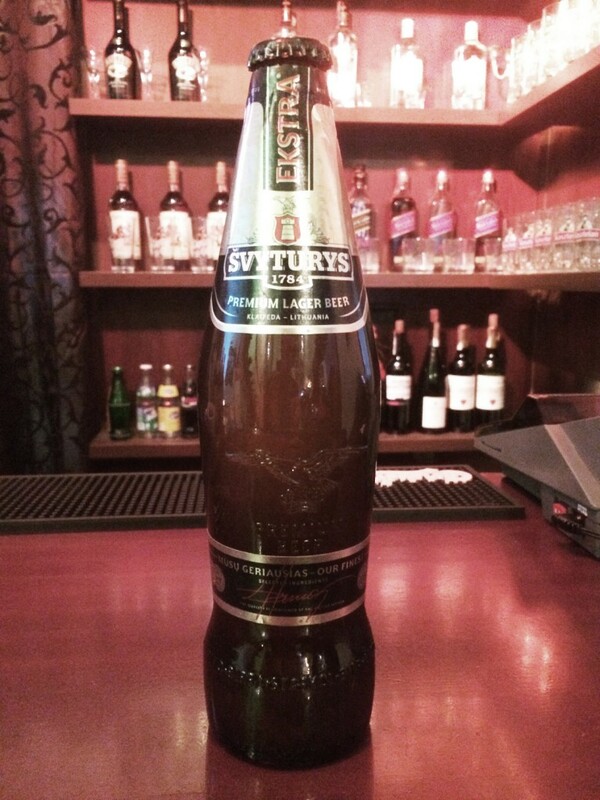 From day one, Švyturys Ekstra became and still is the most popular beer on tap in restaurants and bars across Lithuania as it is delivered to bars as non-pasteurised, live beer.